KATHMANDU, Feb 11: Escape from congestion, cold and crowd, celebrate your new year in Nepal where summer is cool and winter is warm. It is the message that Nepal Tourism Board (NTB) conveyed to the Chinese people during the ongoing holiday of Chinese Lunar New Year, or Spring Festival. As China has emerged as second largest source market for Nepal’s tourism sector in the recent years after India, the country is making every effort to bring in Chinese visitors. “Many activities are being organized on the occasion of Chinese New Year in Nepal in cities like capital Kathmandu and western tourism city Pokhara,” Deepak Raj Joshi, chief executive officer of NTB said. 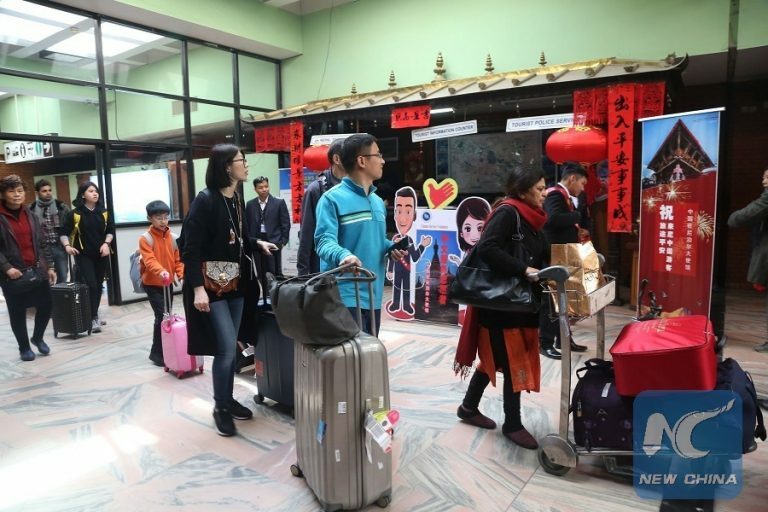 Chinese airlines have reported almost full occupancy while Nepal’s travel trade sector has also reported a surge in Chinese visitors during the Spring Festival. Rashika Shrestha, sales and reservation supervisor at China Eastern Airlines Office in Kathmandu, said that the China Eastern has occupancy remained almost full in the recent days. “We organize trips for maximum 3-4 groups in normal days in a week. We are now dealing with seven groups this week as more Chinese visitors came to Nepal during the New Year holidays,” said Pandey. “Normally, we deal with 400-500 Chinese visitors in a month. We are organizing trips for around 500 visitors in a week-long holiday of this Spring Festival,” according to Bishwesh Shrestha, managing director of Shuang Qi Tour. SNT Holidays, another travel agency, has also witnessed upswing in Chinese visitors for the New Year. “More Chinese tourists have come to Nepal this Spring Festival. We are seeing surge in arrivals of individual visitors compared to those who come in a group this time around,” said Sri Ram Thapa, managing director of the company. Nepal’s travel trade sector has been organizing the welcome ceremonies and handing out greeting cards and gifts for the Chinese visitors coming to Nepal during the New Year. “Although occupancy from Chinese visitors is not so high, they are all high-end visitors,” Atma Khanal, sales executive at the Hotel. “Chinese tourists complain about high airfare although travel package within Nepal is relatively cheap,” said Thapa. Travel industry officials in Nepal insist that there should be more competition among the airlines connecting Nepal and Chinese cities.